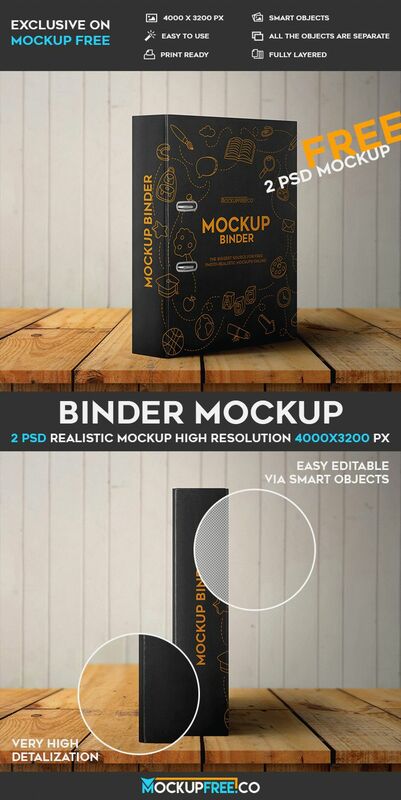 Binder – it is exclusive 2 Free PSD Mockups for different goals and implementing interesting ideas. Having ready-made PSD mockup in PSD it is a great way to save a lot of time. And, of course, this mockup is absolutely free. You are free to use it as many times as necessary for your private and commercial goals.